Obesity is the state of being extremely overweight with Body Mass Index above 28. Body Mass Index (BMI) is an index to classify underweight, overweight and obese individuals. It is calculated as the weight in kilograms divided by the square of the height in metres (kg/m2). Obesity is on rise in India and it’s posing lot of health issues in obese people. Bariatric surgery is a durable & reliable surgery in a way to reduce weight & it acts as a savior for the people suffering from obesity and it reduces or eradicates major health problems, such as BP, Diabetes. High cholesterol, Sleep apnea, Heart Disease, Knee Osteoarthritis, Stress Urinary Incontinence, Fatty Liver, Depression and even gives moral boost to the person and reducing the girth, a person looks attractive and fit, as a whole there is substantial improvement in the quality of life. For Bariatric Surgery, you can contact Manipal Hospitals, Bangalore for weight loss surgery. They have improved faculty for Bariatric Surgery & Pre and Post Surgery Care with reputed Bariatric Surgeons. For the people residing in Bangalore or the outsiders, Manipal hospitals provides the benefit of online appointments, taking care that you don’t lose time for getting appointments. There are immense advantages of weight loss treatment through Bariatric surgery and a new chapter of life takes its advent which needs utmost care and attention to maintain proper health after surgery following the healthy tips as suggested by the attending panel of doctors. The person should be careful in diet & exercise post operation and continue the regimen in life to remain fit & fine. 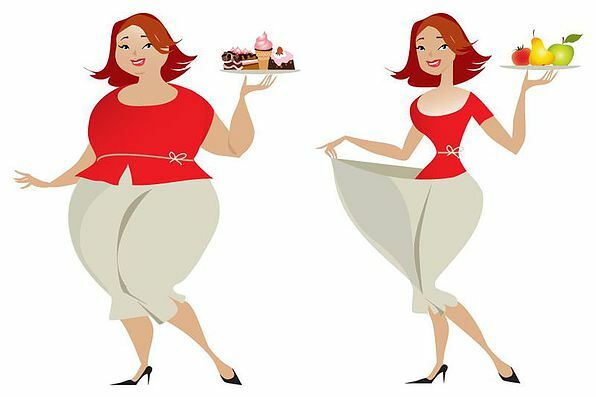 Surgery is an option to reduce the fat but the person should be determined to follow proper regimen of diet & exercise to keep health issues at bay and gain advantages of Bariatric Surgery. Durable surgery doesn’t mean that you take your health for guarantee, you need to follow the advices and adopt healthy style of living which includes best diet & exercise to remain strong & healthy. Just after the operation, extra care is required to start feed to the patient. B. Pureed Foods is started gradually in smaller quantities throughout the day. Pureed food is easier on digestion and even 60-70% protein in the form of protein shakes, egg white & non-fat cheese is prescribed to be consumed by the patient in a day. Intake of clear liquid is advised and care should be taken to have one hour gap in clear liquid & pureed diet. C. Soft Food is started thereby and is recommended to eat 1 to 2 ounces of protein each day while eating three to six small meals on an average. Food recommended are lean chicken, lean turkey, fish, egg whites, non-fat cottage cheese, and tofu and boiled or mashed vegetables such as potatoes, carrots, green beans, tomatoes, avocados and bananas. D. Solid foods are advised thereby and it is recommended to maintain healthy balance of proteins, vegetables, grains & sugar. Fresh home cooked food are advised with ample green leafy veggies in the diet and intake of lot of liquids is advised throughout the day to be hydrated at all times. Now we move to the Exercise regimen which has the same importance as diet and it has to be started with minimum or no strain in the beginning and gradually increasing the pace & different types of exercise. Extra care and extra effort is advised, just after the Bariatric surgery. Initially one should start with easier exercises during 2-4 weeks of Surgery, such as Sitting Exercises, Leg lifts, Shoulder rolls, Arm rotations & Walking. After 1 to 3 months after surgery on the advice of practitioner, person need to start on Aerobics and Cardio exercises which includes Cycling & Water Aerobics. After 4 months of surgery with the doctor’s permission, one can start strength training exercise to build muscle, burn more calories, and improve balance. Squats and lunges are the best low impact strength exercises and Yoga. If the patient follows advisable diet & exercises, it will be highly beneficial for the person. One need to focus on this & follow the regimen religiously. Start at low pace and increase the timings gradually, never over-strain yourself. In case of discomfort, do consult your bariatric surgeon. Your efforts will pay to keep you fit, supple and fine following new lifestyle in structured personality and it will boost you mentally & physically. You are right that surgery is just an option. But sure this helps many in need. Previous page Previous post: Thoughts Following Me!! !